Here’s another good mix of theatre and musical, including the tragic opera double bill of Cav and Pag which I am very excited to see having missed it couple of times in the past. 6- No Man’s Land, Duke of York’s Theatre. It’s my first outing with the West End Whingers and I am really looking forward to meeting them after following their illustrious theatre blogging career since last year. 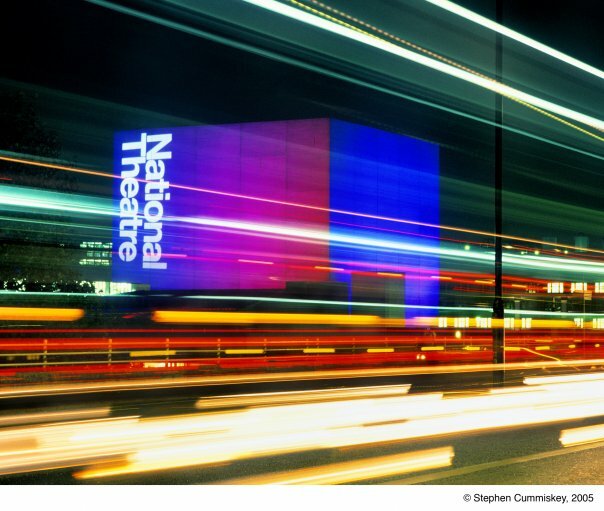 Have I ever waxed poetic about my love for the National Theatre? Have I confessed that I even got myself a shirt? Is there a thing called an NT groupie? If you can not seem to get hold of me on a Monday or a Thursday evening, it’s a fair bet that I’ll be here enjoying a play, and then later on having a brief encounter with Simon Russell Beale outside the stage door. Awwwww!!! I want to call myself an NT habitue having seen over a dozen or so productions in the last 6 months and yet everytime I cross the Waterloo Bridge, and get off the bus stop and walk down the steps that lead me to the building, I can’t still help but still be in awe, well, Sir Laurence Olivier’s statue on the foreground does add more to the enigma of the place but I suppose it’s really because it’s one of the best places to be if you are looking to enjoy really good theatre. Sure it’s had it shares of critical flops, but it has continued to produce brilliant productions and among them are the ones that have just released for the upcoming season and I have booked to see. I have already booked A Slight Ache for July and August and this is because I will be in the Philippines for a month’s holiday and would not get to see any plays until I get back mid-September. So imagine to my great surprise when I found out that there will be a Harold Pinter double biller wherein apart from A Slight Ache there is also Landscape, which is a series of monologues to be performed by Clare Higgins and Simon Russell Beale. Yeah, yeah, yeah, monologues are not really my thing, but come on, it’s Simon Russell Beale, even if he was reading a phone book I will gladly pay and listen to him! Then there’s the return of War Horse which I missed the last time but now have managed to book and having deliberately missed God of Carnage, I have been waiting to see Ralph Fiennes star in Oedipus by Sophocles in a new version by Frank McGuiness. The Pitmen Painters which I enjoyed the last time at the Cottesloe is also making a comeback this time at the Lyttelton in January, and I just might watch it again. There’s surely something for each and everyone, say if youre like my friend Morbius, whose a James Bond fan, there’s a platform with Roger Moore and if you’re a Doctor Who nut, there’s one with Russell T. Davies, so go and check the National Theatre’s website now!